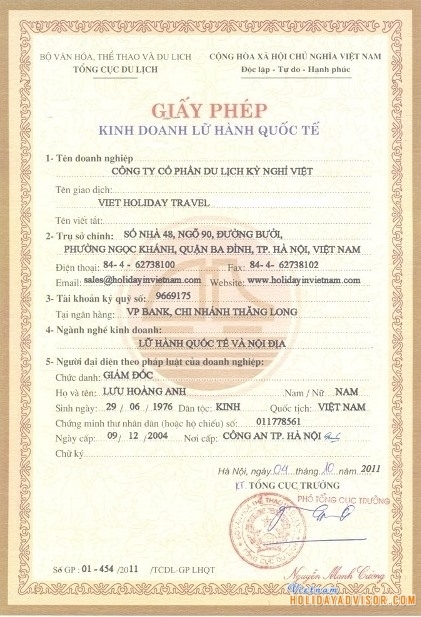 Holiday in Vietnam is one of the websites that has been managed by Viet Holiday Travel since early 2005. We work as a Vietnam based tour operator under travel license number 0912, which is issued by Vietnam National Administration of Tourism. We are handling all ground travel services to Vietnam, Laos, Thailand and Cambodia. 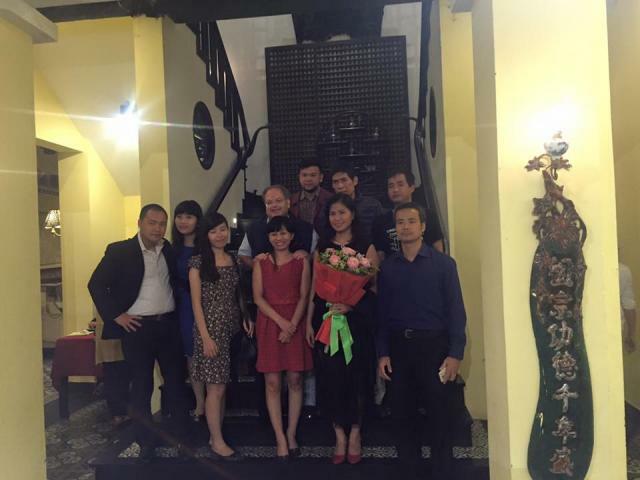 + Becoming the most caring tour operator / travel agent especially concerning tour quality and customer services in Indochina and Southeast Asia. + Our commitments as a sustainable and responsible travel business are core to our purpose and values, our company policies and tour programs are focused on respecting, protecting and benefiting our customers, employees, communities and environment. + Local Experience: We have an experienced team of travel consultants who are constantly inspecting in order to provide you with a completely honest view of what the destinations, hotels, transfers, restaurants and so on are really like. + Tailor Made Tour Expert: We can create the ultimate tailor-made tour itineraries based on preferences & budget for individuals, couples, groups, families, and holiday lovers. + Competitive Prices: You are guaranteed the best prices and always feel great for your vacation plans & value for money! You can book with confidence. + Quality and Safety Services: Apart from providing you with our excellent services, safety is one of the most important criteria our company cares about to make sure your trip goes smoothly and pleasantly from the beginning till the end of the tour. + Secure Online Payment: We protect your credit card details with powerful 256 bit Secure Sockets Layer (SSL) encryption technology and your card number won't be saved. + Money Back Guarantee - Satisfaction Guarantee: If you are not satisfied with our services, a refund will be made. Thank you for your kind consideration and interest in Viet Holiday Travel, a Vietnam based tour operator/ travel agent specializing incoming tours, holidays and vacations in Vietnam, Laos, Thailand and Cambodia. Below are our necessary information regarding the terms and conditions for your reference before you go ahead to book with us.